Intended for use with our Dynamic Indoor Rower, the Dynamic Link allows you to connect two or more Dynamic Indoor Rowers so you can train as a crew. if you buy two Dynamic Indoor Rowers, we’ll include a Dynamic Link for free! Intended for use with our Dynamic Indoor Rower, the Dynamic Link allows you to connect two or more Dynamic Indoor Rowers so you can train as a crew. Requiring you to match your rhythm and timing—just like in a boat—the Link makes you work as a team while still providing the best indoor workout around. Quick and easy to setup, the Link lets you create whatever boat you want. Whether you want to do a long workout with a partner in a pair or practice your racing starts as an eight, the Link lets you do so, whatever the weather. As a special bonus, if you buy two Dynamic Indoor Rowers, we’ll include a Dynamic Link for free! The 7-foot Link connects via pins that fit into brackets (included) installed onto the foot carriage. The bracket can stay installed for an easy transition from individual to team rowing. The Dynamic Link works only with the Dynamic Indoor Rower. 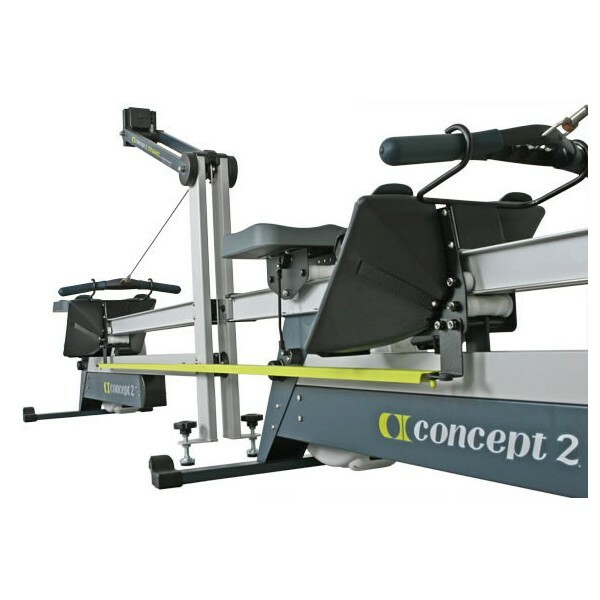 To join Models C, D, and/or E Indoor Rowers, you’ll need the Concept2 Slides.